#1: Root your Android phone or tablet to run the app. #2: Use iTunes DRM Audio Converter to convert Apple Music on Computer. #3: To remove DRM from Spotify music on Mac, try Spotify Music Converter for Mac. DRM Audio Converter for Android, a safe and effective Android Audio Recorder, enables you to record any playing music as MP3 in 3 simple steps, including online streaming music, local playing music or other kinds of playing audio files. 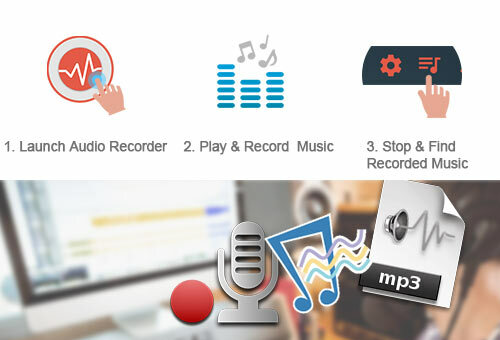 With this Audio Recorder, you can record DRM-ed songs from Apple Music, Spotify, YouTube Music, Google Play Music, Pandora, Tunein, Deezer, Tidal, Rdio, Amazon Prime Music and more on Android. In this way, you can remove DRM from those streaming music. Now, you can transfer or move your recorded audio files to any device for enjoying. Record any music as MP3 format with fantastic audio quality to have an excellent listening experience. This audio recorder is capable of continuously recording the tracks and also splitting them. Start or end recording music whenever you like. It's a good choice to make ringtones . Support multiple brands of Android phones: Samsung, HTC, Google Nexus, Sony, LG, Motorola, Lenovo, Huawei, XiaoMi, ZTE, Nokia, and so on. DRM Audio Converter for Android is free to install on your Android phones and tablets. Remove DRM and record music from online streaming services as DRM-free MP3. Keep the output MP3 audio files with high audio quality to provide maximum listening pleasure. 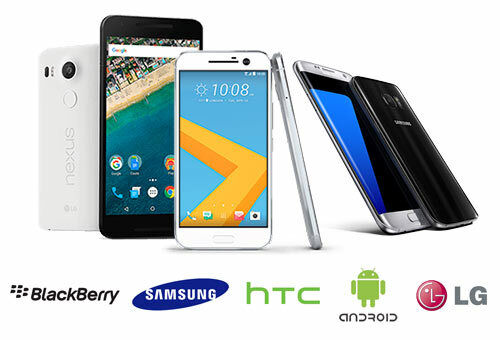 Support almost all Android phones, such as Samsung, HTC, Sony, Motorola, LG, HUAWEI, ZTE, XiaoMi, etc. Professional DRM Audio Converter which can convert Apple Music songs, audiobooks and M4P music to MP3, WAV or AAC.